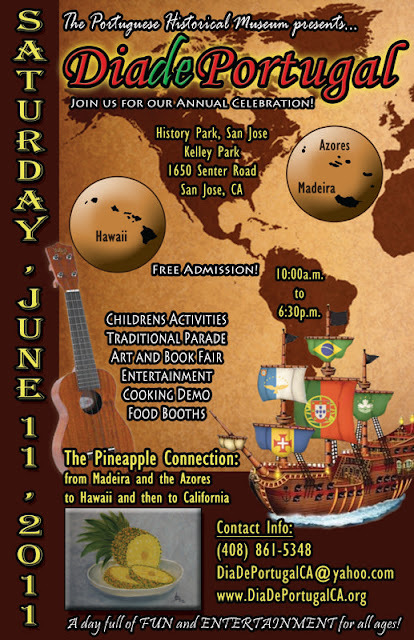 The San Jose Blog: Dia de Portugal Celebration this Saturday in History Park! Dia de Portugal Celebration this Saturday in History Park! Last weekend San Jose had a terrific celebration of Greek culture, and this weekend it's Portugal's turn. We're really lucky to live in such an ethnically diverse city and to be able to emerse ourselves in so many different cultures! 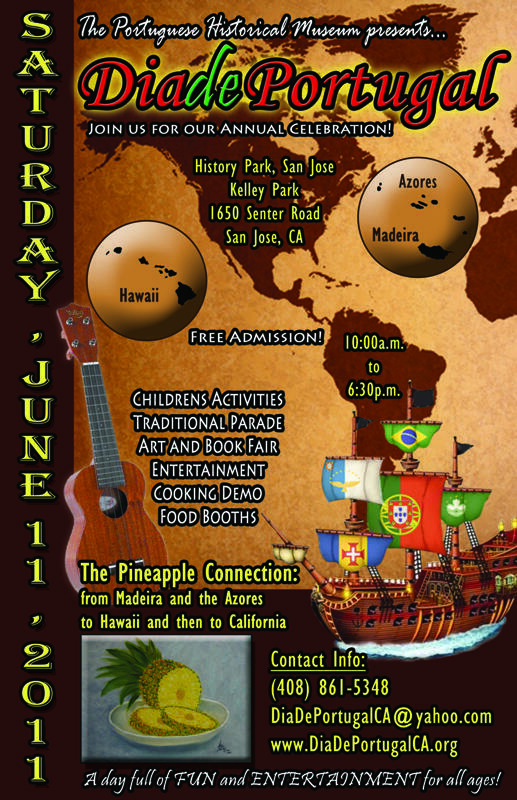 This is an event that is dear to my heart since both of my parents emigrated from the Azores to San Jose about 35 years ago. Dia de Portugal will be filled with tons of great Portuguese food (you must try authentic linguica if you've never had it before), Portuguese wines, beers, art, music, dancing, and some really interesting cultural events. They will also be featuring a new exhibit in the Portuguese Heritage Museum that documents the migration of Portuguese people to California and Hawaii. Admission is free and children of all ages are welcome. For more information, click here for the Dia de Portugal website. This video is almost all in Portuguese but shows some of the cultural booths and events.